When I first started writing about digital cameras the main question i was asked by readers was ‘Which Camera should I buy?‘ Usually they were in the market for a point, fairly entry level point and shoot digital camera. Answering the question is something of a minefield as each digital camera manufacturer offers a large range of lenses of different qualities and budgets. Add to this that each photographer shoots differently and has their own styles and preferences and it can be something of a minefield to navigate to answer the ‘which lens’ question. What follows below is an attempt to unpack the different types of lenses that most manufacturers offer in the DSLR market. I’m not going to get into talking about specific lenses but want to give a brief introduction to some of the terms and types of lenses that you’ll come across as you begin to explore the DSLR lens market. Keep in mind that most DSLRs are not what are known as ‘full frame’ cameras. Their sensors are generally smaller than full frame and as a result lenses don’t have the same impact on these cameras as they would on a film camera. This is why you’ll often hear manufacturers talking about the ‘equivalent’ focal length of a lens. Standard Lenses – this is a term that seems to be disappearing a little from terminology. Traditionally on film cameras it was used to describe lenses in the 50mm range because this is what usually came with the camera. 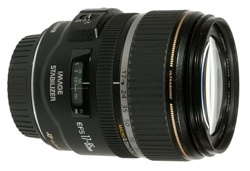 Kit Lenses – These days the lens that is offered as a package with the DSLR is generally called the ‘kit lens’. It is generally an entry level quality zoom lens. They are usually a fairly general purpose lens designed for everyday shooting. My personal preference is always to buy the DSLR as a body only and to upgrade the lens from the kit lens as they are generally at a lower to medium end of the spectrum of lenses. Prime Lenses – A prime lens is a lens that has one focal length only. They are becoming less popular in an age where photographers like to have the convenience of a range of focal lengths at their finger tips (see zoom lenses) but they are definitely worth considering. Zoom lenses are increasing in the quality that they offer but prime lenses are known (especially at the top end) for their image quality and speed (faster aperture). While many like the convenience of zoom lenses I actually enjoy the challenge of prime lenses and find that they make me think about my photography a little more than when I have a zoom attached (I get a little lazy). Telephoto Zoom Lenses – Zoom lenses are the most popular DSLR lenses at present and come in a range of configurations and levels of quality. Obviously the benefit of zooms are that you do not need to physically get closer to your subject to get a tighter framing of the image. These lenses can have quite narrow ranges or quite long ones. Keep in mind that if you buy one with a long focal length (for examples you can get them in lengths ranging up to 300mm or longer) that the longer your focal length the more impact that camera shake has on your images. More and more lenses these days are being released with Image Stabilisation (IS) to combat camera shake. Macro Lenses – these lenses are specifically designed for shooting objects up close. Many lenses and cameras come with a ‘macro’ setting but true macro lenses will produce images that are life size and that enable you to get in incredibly close from the subject you’re shooting. Wide Angle Lenses – As their name suggests, these lenses enable their users to take shots with a very wide perspective. They are useful for landscapes and for getting in nice and close to subjects still fitting a lot of them in. Wide angle lenses come both as prime lenses but also are being found at the lower end of telephoto zoom lenses increasingly. Be aware that very wide lenses will sometimes distort your image a little (or a lot), especially at the edges of your photos where they can be quite curved. This can be used to great effect but can also be quite frustrating at times. At the extreme end of the ‘wide angle’ range are ‘fisheye lenses’ which purposely distort your image in a curved way to get more into the shot. Again this is a style of photography that many love but is an art to get right. So there you have it – you’re now at least equipped with some definitions and starting points for shopping for your next DSLR lens purchase. hi everyone that was a good start for my photography, but I have some doubts between the micro and the macro lens, and I am looking forward to buy a camera, what camera would suit for a beginner, and what lens should I get for head start or should I buy the camera and buy the lens later as per requirement. can i know what types (Portrait Lenses , Wide Angle Lenses greater than the max focal length of 55mm) of NIKKOR lenses should buy for a aperture? Just wanted to ask I am a newborn baby to photography so still trying to understand all the lingo etc... but just wanted to ask for some advice please. If i was hired to photograph individual framed paintings in an art gallery what sort of lenses would I use?? No, do not always buy Canon or Nikon lenses...There are a host of companies that build quality lenses. This is just the same old dumb fight about brands and cameras and mine is bigger than yours baloney. Current technology is favoring the amateur photographer like never before. Great quality, great prices and wonderful selection of equipment is at your fingertips. 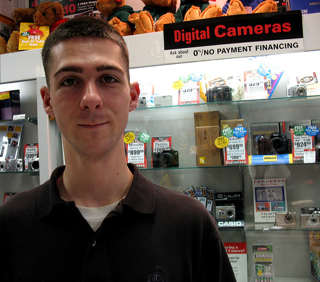 Try Olympus, Sony, Panasonic, Fuji, Leica (ok a bit pricey), etc. Dont buy the myth of Canon and Nikon being the "best"...just the ones with the biggest marketing budgets. meaning zoom of 28 to 105mm and when the lens is at 28mm the aperture is at 3.5 and when at 105mm the aperture is at 5.6. All my lenses are 2.8 or faster but this is what i do. however if you buy a 2.8 lens you may not ever need to replace it. another word of advice... and others will disagree. always buy Nikon or canon lenses. especial on the high end ones. 50+ lady that needed a hobby so my dad bought me a Nikon D3000 with the kit lens 18 - 55 mm, i know i can do a lot with this lens but i would like to take pictures of my grandchildren without being on top of them but still have them in the foreground, plus take some landscapes including distance shots. I am getting a little confused with all of the lenses that are on sale, and after reading all of the above comments on lenses, can any one come to my rescue and advise me of what i might need. when i first began to get serious i bought my first canon "L" series lens 70 -200... and then that was it L from here on out. ive used others but nothing really beats the canon L and i think its the nikon D series. ive used these lenses for years and years and even dropped them (not recommended) and they still work like the day i bought them. camera bodies come and go but a quality lens you will hold forever or you can get a decent resale value out of them aswell...... make sure they didnt get dropped thou. Until I came to DPS I honoured myself with the title "Amatuer Photographer". The more I read, the more I realize I don't know, so, I am backing up to Square One and calling myself an Indentured Beginner! This article is enlightening, but the commentary really broadens my understanding. Thanks,guys. Thanks for all these articles and the precious advices that come along them... great site, keep on the good work. I am an amateur photographer - looking to take better landscape photos with my Nikon D40 - My choices right now as I have done research are: Nikon 16-85 or the Sigma 10-20mm. Telephoto lens refers to lenses which can take photos of objects far off. The word 'Tele' in Greek means 'Far off'. The American Heritage Dictionary refers tele as distance or distant. So even a zoom lens with say 170mm-500mm could be called as a tele-zoom lens. I have a question about macro lenses and portrait lenses. When is a macrolens called a macrolens and when is a portrait lens called a portraitlens? Does it depend on the focal length? The clossenes you can get to the object? I miss a bit explenation about this. Macro lenses are definitely a special case. A macro lens will project the subject at a 1:1 ratio or larger on the focusing surface (film or sensor). This requires a prime lens. A zoom with a "macro" setting doesn't actually do macrophotography, just close ups, or what is sometimes called "proxyphotography". - Wide angle lenses are frequently bought so one can do group photos in tight environments. Note, that the shorter the focal length gets, the worse the distortion gets (and that's not a flaw of the lens, that's just optics laws), rendering those group photos ugly to useless. If you think you need such a lens for that purpose, at least try them out before you buy them! - A zoom range that's less than 1:2 is almost worthless, it's so hard to see the difference when you zoom. Most of the time it's better to take a fixed focal length lens at the wider end and crop the frame later. Multimegapixelcameras together with sharp lenses allow for that without serious loss of image quality. - If you are shopping for a tele lens, make sure it's not too long because you can't use it hand held (unless you get really pricey IS/VFR lens). Using a long tele lens on a tripod is particularly tedious because the frame is so tight that it's hard to find you target if it moves fast. - If you get a fast lens, you won't use it for low light environments too often, the depth of focus is just ridiculously thin (think a few cm, if that). A main advantage of fast lenses is that they allow you to focus at much lower light. Also they focus much more accurately at any light condition. - If you are a beginner, don't waste your money on expensive lenses. The main cause for lost or poor photos will not be the poor kit lens but the fact, that it takes so long to get your camera ready and mistakes like focussing on the wrong spot, bad exposures, motion blur and other common mistakes. Once your skills improve, you can still upgrade and will probably get more and better lenses for the same or lower price. - If you shop for several lenses, make sure you don't have too many different filter thread diameters. You will eventually like the effect of polarizer filters, they are expensive and using them with filter size adapters is tedious. Note, that all these recommendations apply mostly to newcomers, pros may have totally different priorities. I could see possibly calling out macro lenses as a special case. Other than that, I'm in agreement with Luis. Solid article, but it sounds like theres a lot of confusion over your use of 'Telephoto zoom lenses' for that one section. I'm with the majority of the commenters here, zoom and telephoto are two distinct separate qualitative categories. People get them confused a lot though. Silverhalide makes a good point; why bother separating out kit lenses as a separate category? They aren't really. They're often just standard zooms of a lower quality. I want to second Luis Cruz's classification. Zoom is definately distinct from telephoto. For example, the Canon EF-S 10-22mm f/3.5-4.5 is zoom, but nowhere near being telephoto; it's actually an ultrawide through wide zoom. And a EF 400mm f/5.6 is definately telephoto, but not a zoom. Also when you see a point and shoot that says 4x zoom, all that is saying is the range from narrow to wide is four times. The 10-22mm lens mentioned above is a 2.2 time zoom (22mm/10mm), but again, isn't telephoto. When designing a zoom, the manufacturer needs to optimize focusing, sharpness, chromatic aberation, and other optical qualities over a range of focal lengths. It is generally thought that ranges of more than 3.5x have to make significant compromises, and image quality will suffer. Therefore, while your 18-200mm f/4.5-5.6 lens (an 11x zoom) may be convenient, it probably won't provide as good quality an image as two or three zoom lenses, each covering a portion of that range (for example, 18-55, 35-85, 70-200). The ultimate in quality would be a collection of primes: 20, 28, 35, 50, 85, 135, 200; however, these six lenses are nowhere as convenient as one 18-200mm. I would also question identifying kit lens as a separate category. All that kit lens implies is that it came with the body. In the past kit lenses were typically a 50mm. Generally now it is a standard range zoom. The other common thing is that the kit is typically a fairly inexpensive lens. Although prime lenses lack zoom, aren't they built for speed (f1.2, f1.4, f1.8, etc)? I'm not sure if they make zoom lenses that fast. I see that as a pretty big selling point. I think we're misusing some terms here... zoom and telephoto are separate terms. Zoom refers to the "travel" of a lens - the ratio between its shortest focal length and its longest. Telephoto refers to the range of the lens. There are prime lenses and there are zoom lenses. Those are the two basic types of lenses. Prime lenses, as described, have only one focal length. Zoom lenses, on the other hand, can be adjusted to cover a range of focal lengths. Now that we've tackled the types of lenses, we can go on to another characteristic - range. There are four general ranges of lenses: wide, normal, short telephoto, and long telephoto. The two types of lenses (primes and zooms) can fall into any of these ranges. I'll explain the normal range - and the rest should be self-explanatory. A normal lens is one that approximates normal vision - it depicts in the camera pretty much what we see with our own eyes. On a 35mm camera, this is a 50mm lens. On DSLRs, this is something between 30mm and, in the case of full-frame models, 50mm. For zooms, a normal zoom is one that stays in the normal neighborhood - think of 24mm to 70mm as the normal range. Also, zoom lenses can cover more than one range. A typical kit lens at 17-55 for example, covers some of the wide and normal ranges. An 18-200 covers wide, normal, and short telephoto. Anyway, that's my (more than) 2 cents worth. "But isnâ€™t a not exactly top of the line lens better than no lens at all?" I'll agree with you that the kit lenses generally aren't that good. And I've hardly touched mine since I got it. But isn't a not exactly top of the line lens better than no lens at all? "Standard lens" or "Normal lens" is actually one that does not distort the perception of perspective. As you noted, going wider can produce some visual distortion. Going to a longer lens produces compression of the perspective. This is why a longer lens is typically used for portraits, as the compression is pleasing to the eye for faces. On a 35mm camera, the 50mm lens is considered to be normal/standard. With the different crop factors for DSLRs the focal length for normal is different. Hang on, I thought telephoto lens referred to lenses of a high focal length (Wikipedia agrees). There's often confusion between the words "telephoto" and "zoom" and I don't think this helps. I am thinking of upgrading to a DSLR soon - so this makes for a very interesting read. Thanks. Teleconverters: lenses that don't do anything themselves but, once attached to the back of a lens, magnify the final image. Legacy lenses: old manual focus lenses from the days of film cameras that can (with an adapter if necessary) be mounted on dSLRs. I'd also add that macro lenses are usually fantastic optically and make for great protrait lenses also.